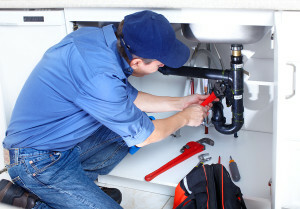 Star Cities Plumbing & Heating is not only here to help you out when you’re in need of an emergency plumber, we also want to make sure your plumbing is always in working order by offering professional plumbing maintenance services. Just because it does not seem as though there’s anything wrong with your plumbing does not mean that everything is fine. By having a New York City plumber come out to take a look at your plumbing system now, there’s a very good chance you can avoid future plumbing emergencies. Star Cities Plumbing & Heating can work with you to come up with a yearly inspection schedule for plumbing maintenance so you have an easier time of remembering when it’s time to have your plumbing system inspected. You might not notice it if you have a leak behind an appliance in your residence, but a plumber from Star Cities Plumbing & Heating can catch it before it becomes serious and causes more damage than necessary. With Star Cities Plumbing & Heating you can always depend on a swift response time, honesty and competitive pricing. Should you ever need an emergency plumber, you can rest easy knowing that we’re licensed. Contact us today at 800-547-1422 and schedule your yearly inspection for your plumbing system. Don’t let the winter season be the undoing of your plumbing system. When you’re in need of a reputable and professional plumber, look to the stars!